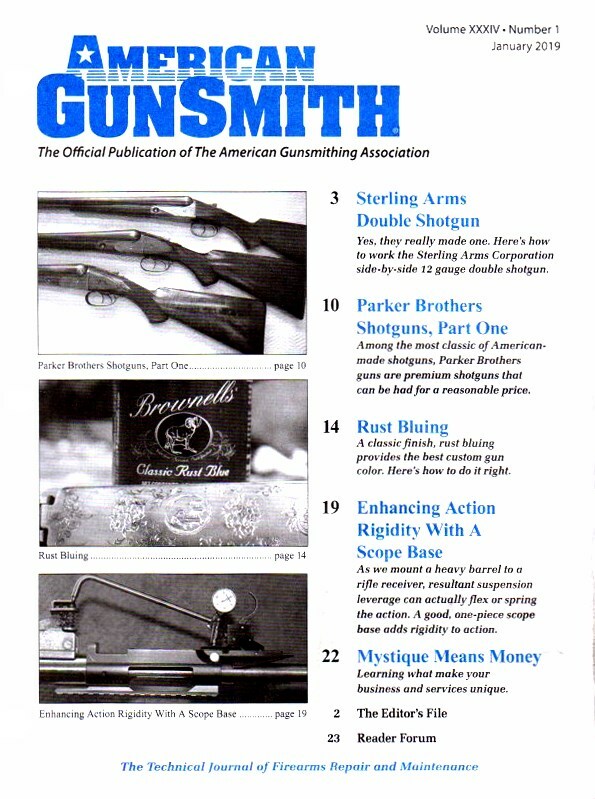 American Gunsmith, the magazine of The American Gunsmithing Assocation, is packed with procedures, tips and tricks-of-the-trade for succesfully smithing both classic firearms and today's latest production models. As a member, you'll enjoy benefits and big savings from gun parts and tools, videos, DBI books, and more. *BEST VALUE* Get 12 issues for $34 ($2.83 per issue) from MagazineAgent.com. 11 Other Stores We also checked the following 11 stores and they do not appear to sell American Gunsmith Magazine: Amazon.com, BestDealMagazines.com, College Subscription Services, DirectMagazineService.com, DiscountMags.com, MagazineDealsNow.com, Magazineline, Magazines.com, MagazineValues.com, SubscriptionAddiction.com and ValueMags.com. 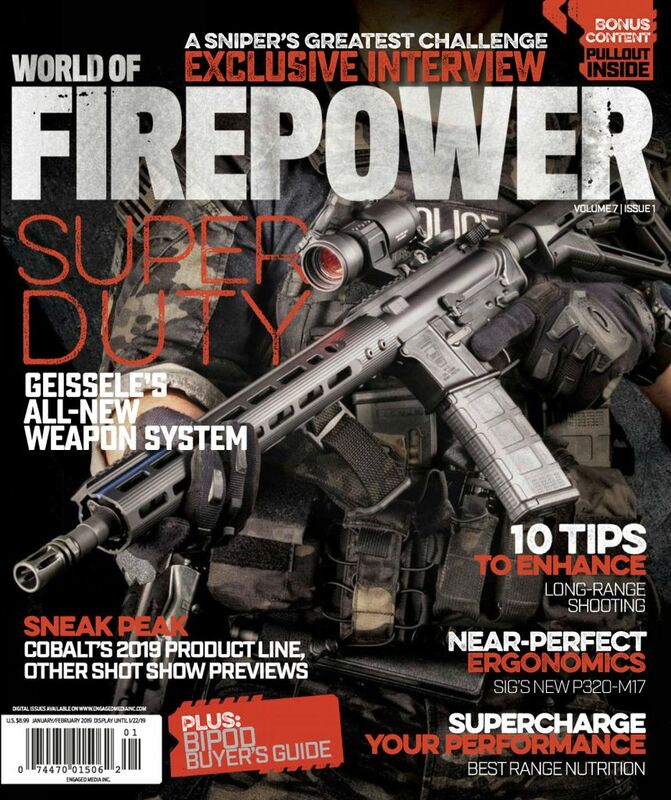 Click on the desired price/store/issues in the grid for details on subscribing to American Gunsmith Magazine. 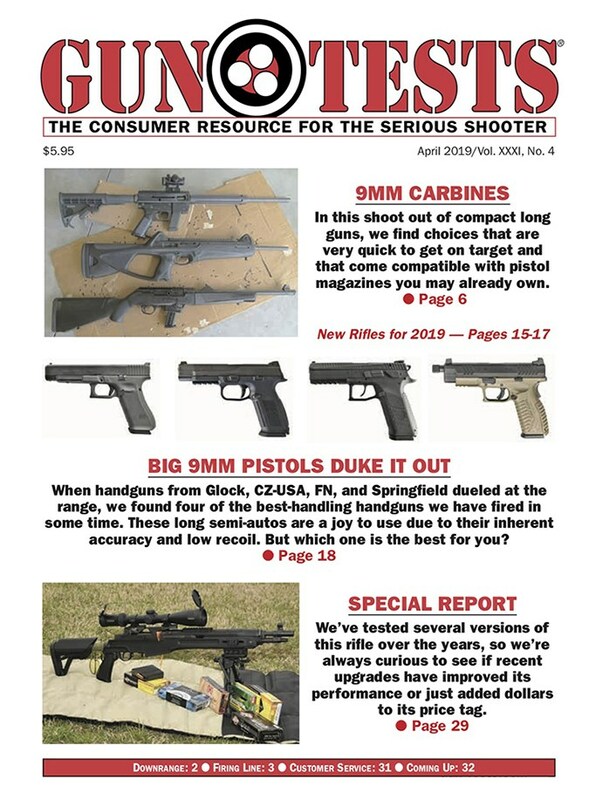 Find the best price for American Gunsmith at MagazinePriceSearch.com!